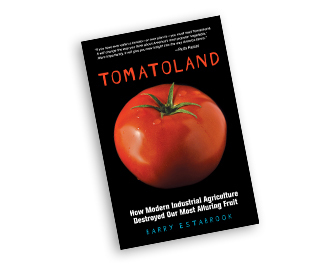 In his book, Tomatoland, JBF Award-winning food journalist Barry Estabrook investigates the sustainability of the fresh tomato industry, and reveals the staggering cost to the health of our environment and society. Enlightened Eaters is an educationally minded series of readings, workshops, discussions, and other programs focusing on health, nutrition, sustainability, and environmental issues. Acqua Panna and S.Pellegrino waters, Lavazza Coffee, and Green & Black’s Organic Chocolate will be served. Snacks will be provided. Guests are also welcome to bring a brown-bag lunch. This event is free to students, with a suggested donation of $20 for nonstudents.